Pedro Liberal joins TZMI as a senior consulting, bringing extensive experience from the mineral sands and zircon sector. Pedro joins TZMI bringing extensive experience in the mineral sands industry, particularly in the zircon sector. TZ Minerals International (TZMI) is pleased to announce the appointment of Pedro Liberal as a senior consultant. Pedro joins TZMI following 14 years in the ceramic industry with Torrecid Group, bringing extensive experience in the mineral sands industry, particularly in the zircon sector. He has technical and business expertise in the areas of project evaluation, marketing, strategic sourcing, processing, research and exploration, as well as specific experience and knowledge of zircon sand both downstream and upstream. Pedro has a BSc in Technical Mining Engineering and a Masters Degree in innovative company development. 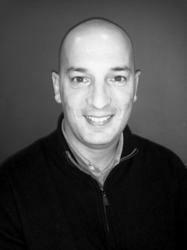 Pedro will join TZMI in March 2012 and specialise in the zircon sector. TZ Minerals International (TZMI) is a global, independent consulting and publishing company with offices in Australia, the US, Europe, Africa and China. The strength of TZMI’s consulting services stems from extensive practical experience in the mineral sands, titanium dioxide and coatings industries and from a comprehensive database, which has been built up over many years. TZMI has proven expertise gained from our consultants having many years of direct operating experience in the industry in chief executive, senior operational, analytical and marketing roles. TZMI’s publications and data services support the consulting activities and ensure up-to-date, high quality and comprehensive data, analysis and information across the mineral sands, zircon and TiO2 pigment industries.